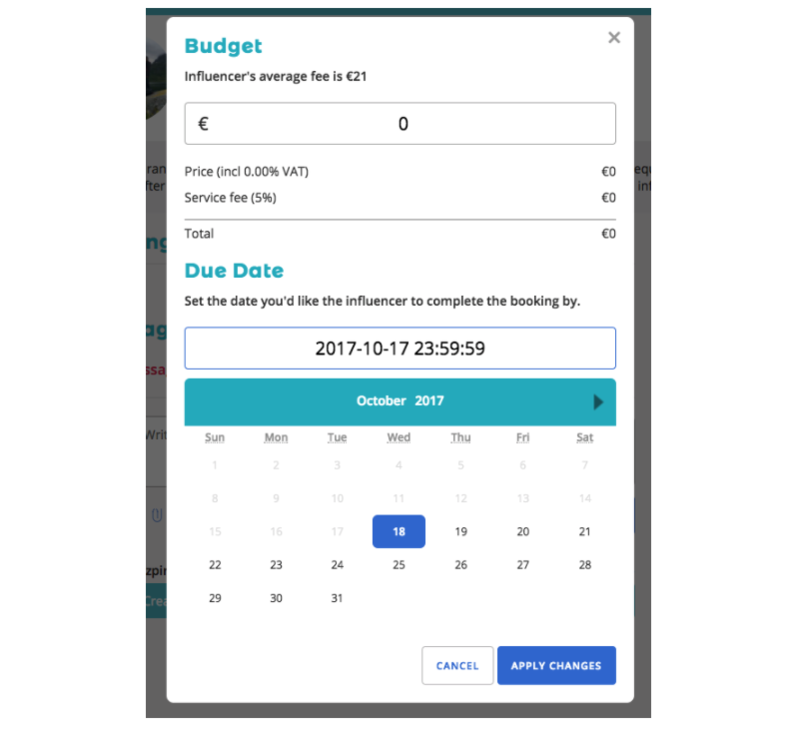 If you and the influencer have agreed to change the due date or budget of a booking, you can make the changes by selecting the booking request in Campaigns. 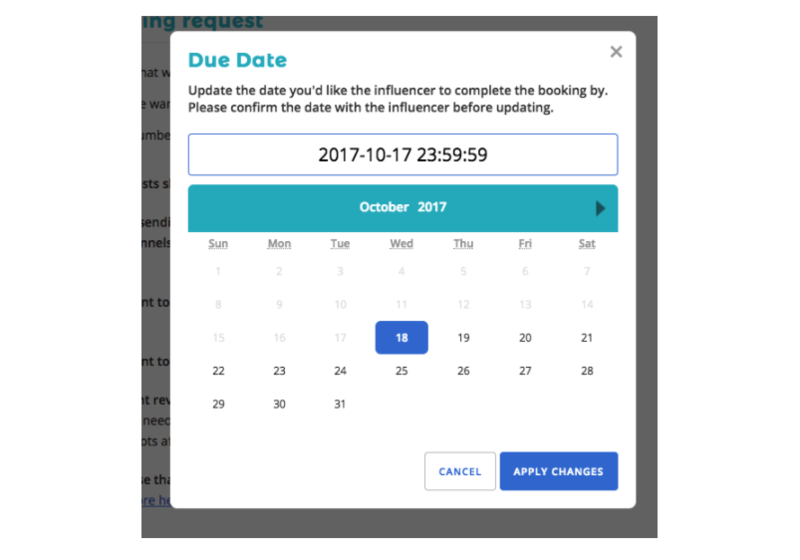 The due date can be changed if the status of the booking is Pending or Accepted. The budget can only be changed if the booking is still Pending. To make changes to the campaign, click on Campaigns in the sidebar menu. Locate the correct campaign that the booking is in and click View Campaign. You will be able to view the bookings in the campaign in a Kanban view. 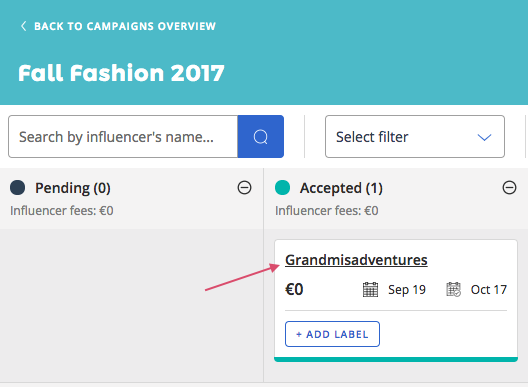 Search for the right booking by typing the influencer's name in the search box. Click on the influencer's username. You will be directed to the booking page. On the right-hand side of the page, there will be an Edit button. Click the button. 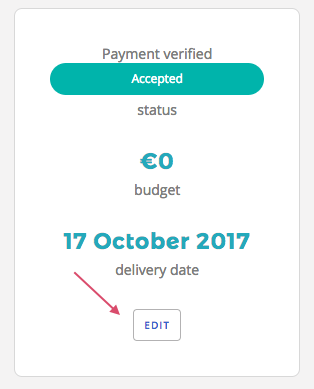 If the booking is Pending, you can make changes to the budget and due date. After you make your changes, click Apply Changes. If the booking is Accepted, only the calendar will appear. Select the new date you would like the booking to be delivered by. Click Apply Changes. You will be asked to confirm the changes. Click Confirm to apply any changes to the booking. Have trouble? Send us a chat!